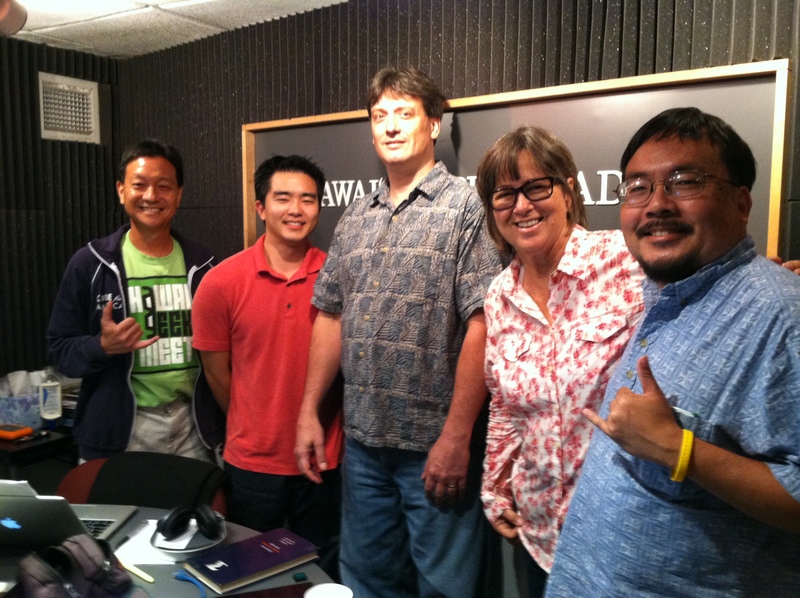 Burt Lum, Robbie Omura, Wayne Lewis, Heather Giugni, & Ryan Ozawa in the Studio. Burt Lum and Ryan Ozawa of Hawaii Public Radio’s Bytemarks Cafe invited ʻUluʻulu to share their progress and achievements since the last time on air, three years ago. To listen to the show see the Bytemark Cafe Archive, Episode 247. This entry was posted in Uncategorized and tagged 'uluʻulu, Bytemarks. Bookmark the permalink.